The Valley Local: Wordless Wednesday #206 - Ballast, Opinions? I like #2 and #5 the best. I have a board (about 1'x2') that I glued multiple rows of flextrack to. I then ballasted short (2-3") segments with various types of ballast, and secured it with the glue I use. I have a key that lists all the brands (WS, Scenic Express, Arizona Rock and Mineral, etc.) and item numbers of the ballast that I have. I find that once it is glued down, the color changes so I don't like to look at ballast "dry". Many places sell samples or give them away for free, so instead of losing them I glued them to this board to keep track of them. That's a great idea and something I've considered doing myself - though your point about the ballast looking different when "affixed" versus dry isn't something I'd thought about and shouldn't have missed. Thanks for that reminder - which prompts me even more to do these "test tracks" rather than just lay dry ballast on the actual layout... Thanks again for stopping by - hope you're enjoying the site! Brown ballast! Really?? 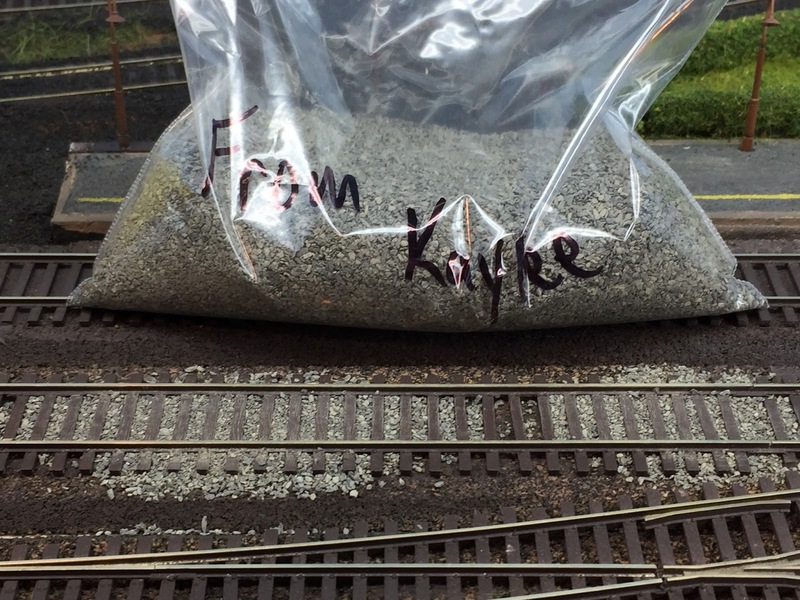 Ballast is crushed rock, but brown rock is found mostly in the West, isn't it? 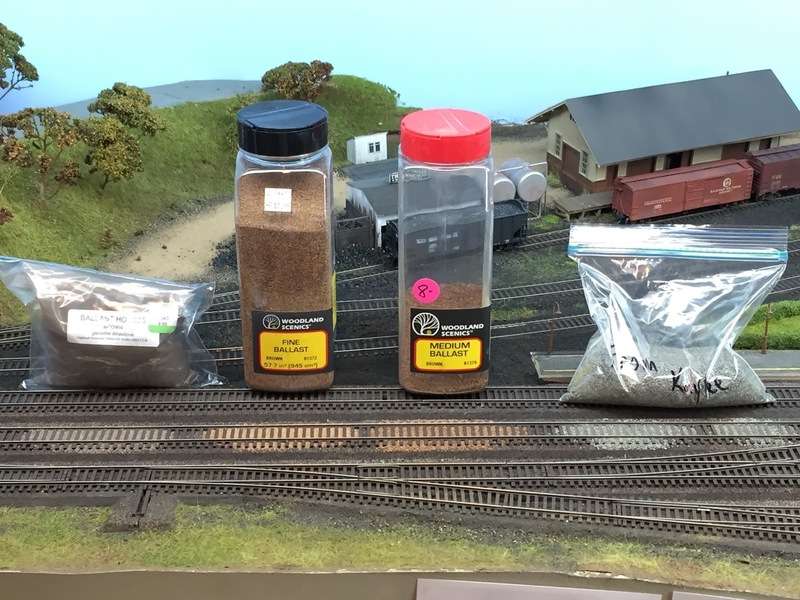 I figured you wouldn't had included brown ballast unless it was prototypical. I too would like to see some color photos to better judge the ballast. Thanks Chris - being a bit colorblind, I always appreciate the extra help. And to crib off "DandH..."'s idea, it'd probably be a good idea to set up a more scientific test with actual affixed (wet/glued/dried) ballast since the color is bound to change. I think the highball brown looks good for the brown ballast. The Woodland Scenics brown is to light of a brown its looks like cork roadbed...The cinders and grey ballast of photo 5 look like very good matches to the prototype photos from your newer post..